Last year saw a raft of developments in the PPC world. Google Ads and Bing both added a range of new features, LinkedIn began to offer profile targeting and Amazon began to take serious advantage of its position as the internet’s first point of call for consumers looking for products. It was also a year where voice search, AI and audience targeting started to have an impact on PPC campaigns. In 2019, there are new developments on the horizon and in this post, we’ll take a look at what to expect. The use of automation is set to expand significantly during 2019 and search engines will take on third-party providers by launching a range of new automation features and enhancing any existing ones. This will enable advertisers to benefit from improved bidding, A/B split testing and query mining opportunities that can help them to out-do their competitors. The use of responsive ads, together with changes to exact keyword matching and audience targeting means human involvement is diminishing and being replaced by technologies such as AI and machine learning. It also means traditional manual processes, like bid management, tracking and reporting can be taken care of by computers, freeing up employees to work on the creative side of the marketing strategy. The sophisticated technologies used by search engines, such as AI and machine learning, are shifting the focus away from keywords as the main PPC driver. Today, these technologies give us a much better understanding of user intention and online behaviour, making audience targeting just as critical as using keywords. Those who can develop strategies that optimise different audience segments by creating almost personalised offers are the ones who can benefit the most. With economic uncertainties due to Brexit causing a downturn in online spending during 2018, this year will see many companies seek to maximise their ROI when it comes to their PPC budgets. In this sense, the arithmetic points to remarketing as the sensible option during 2019, simply because those who have already taken some action on your website are more likely to return and buy. When you add the numbers up, these ads have higher click-through and conversion rates. That said, there is also a need to think beyond ROI and consider the use of PPC as a vehicle for brand building. Cleverly created campaigns, especially those which are visually appealing, can be used to strengthen brand loyalty and increase the demand for a company’s products and services. As companies become more aware that the customer journey passes across multiple channels: search engines, social media and e-commerce stores, their need to reach out across all these channels means we’ll see a diversification in how PPC budgets are spent. While Google Ads will remain the main focus of most companies PPC strategies, 2019 will see competition from other channels offering increasingly lucrative opportunities. Amazon, in particular, is forecast to take a larger slice of the overall PPC spend during the year, its sponsored product ads offering significant potential. Bing Ads is also making waves through the development of ads that use real-time stock availability data so that users who click on them know they can pick products up from their local store. Facebook, on the other hand, is developing ads that link to an instant storefront where personalised product videos are generated for specific audiences. The internet has become increasingly mobile-centric with over 60% of our browsing time now done on smartphones. It is interesting to know that video is the leading form of mobile content and in order to leverage the huge appetite mobile users have for it, video ads are the way forward. Indeed, many platforms are now making moves to encourage advertisers to use that form of advertising. Google, for example, has introduced vertical video ads that are designed to be shown on mobiles, bringing it in line with social media sites, like Facebook, that are awash with them. Unlike traditional ads, videos can be liked and shared and even go viral. 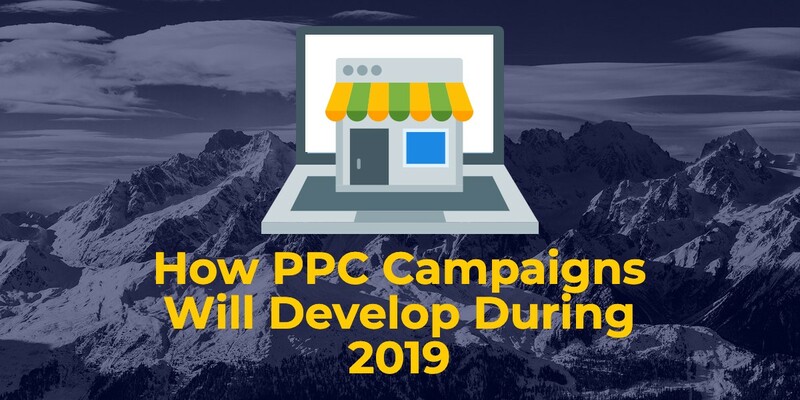 2019 promises to see a range of significant developments in PPC. Marketers will have a range of new automation tools that enable campaigns to be smarter while streamlining workloads. At the same time, AI and machine learning will give insights that make it more valuable to concentrate on audiences rather than simply on keywords. Expect to see companies diversify across different channels and platforms and use different media, such as video, to create more powerful ads – especially remarketing ads and those which build brand awareness. If you are seeking expert help with your PPC strategy, check out our PPC page.